Today I stayed home from work because it was closed (blizzard?) so I got to make a tasty lunch. 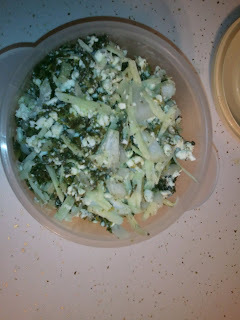 First I mixed up canned spinach, feta, mozzarella and Italian seasoning. I buy always cheap Best Choice Italian Seasoning because I go through it like crazy. Plus I grew up on the stuff and love it. 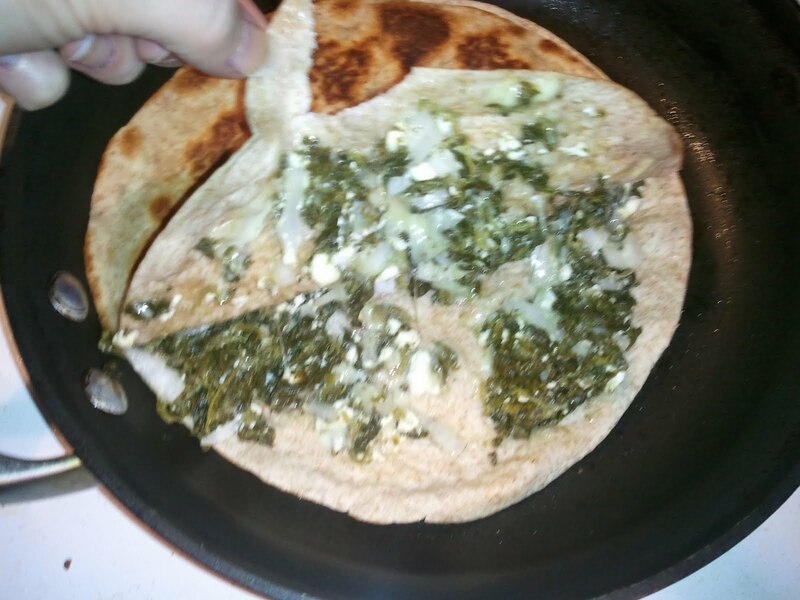 My green onions got old and I threw them away a couple days ago, so I used a quarter of a white onion I had in the fridge instead. So first, mix up everything but the tortillas. These are my super-favorite tortillas. 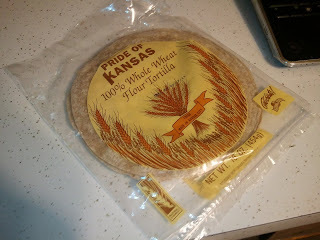 Local, whole-wheat, delicious, and make me feel like they're a little healthy. Use whatever you like or have on hand. My husband does not especially like these. But he also doesn't eat feta or spinach, so this meal does not apply to him anyway. Butter your pan. As Pioneer Woman says, butter is good for you. Or if you used all your butter last night making scones, sigh and use lots of cooking spray instead. 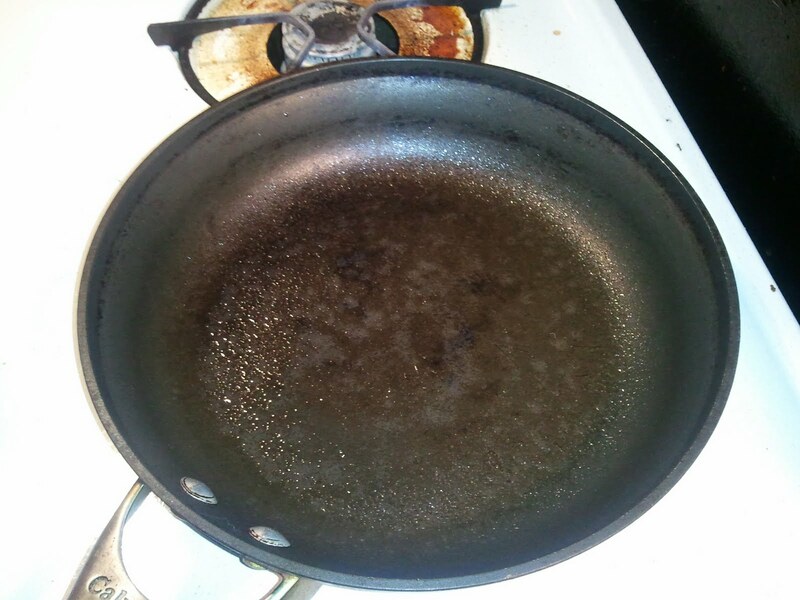 Also, this is my favorite pan. It's a hard-anodized Calphalon skillet and worth every penny. It came with a larger one for about $50 for the set a couple years ago. Layer tortilla, filling, then another tortilla. You could get two or three quesadillas out of this, depending on how much filling you like and how big your tortillas are. 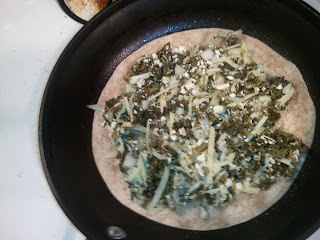 I like small tortillas with lots of filling, so I used half of the stuff for one meal. Eating just that, I was comfortably full for lunch. Judge your own appetite, I guess. I'd say one full "recipe" would feed a couple, if you're part of one. Put leftover filling into ugly old Tupperware so you have a ready-to-throw-together meal in a couple days. I love Tupperware. But I promise you won't have to look at it every time. This is about what the filling should look like. 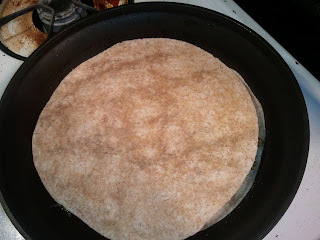 Make sure to hold the top tortilla, take a photo and burn your fingers like I did. Empathy is good. Put it on a plate and slice up. Normally I use a pizza cutter because it's easier, but I didn't this time and I should have. 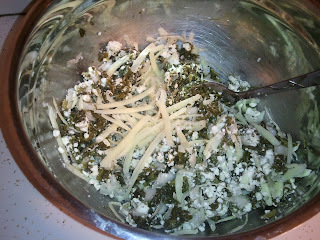 You could dip this in sour cream, but I didn't think it needed anything. Here's as close to a recipe as I can give you, for those of you who like measurements and stuff. If you try this, let me know what you think! And did you add garlic? Leave something out? 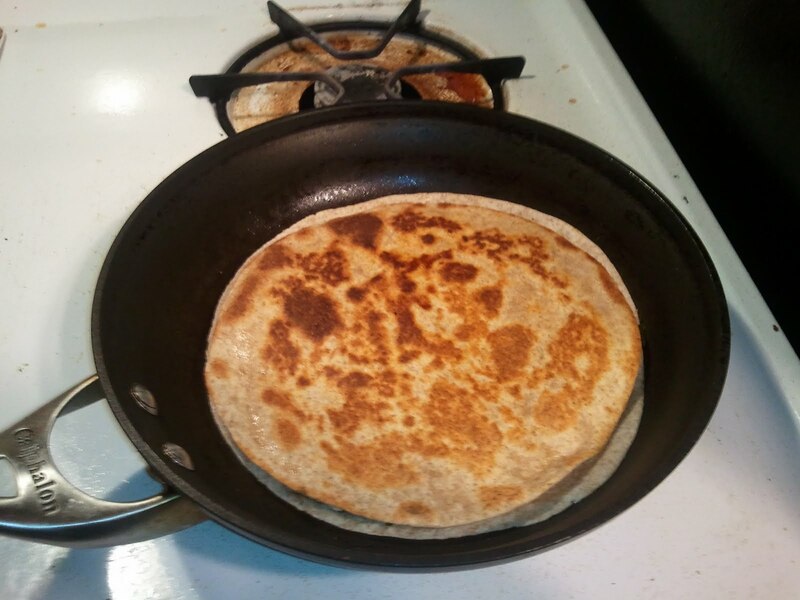 Different tortillas worked better? I want to hear from you! 1. Mix the spinach, Italian seasoning, onions and feta in a bowl. 2. Butter, oil or spray a pan. 3. Layer one tortilla, half or a third of the filling, and another tortilla. 4. 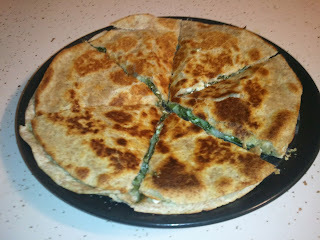 Cook on medium-high until the quesadilla is browned on one side. Flip, and continue until done to your liking. Yay first entry! I will have to try this out soon. I LOLed at 'empathy' by the way. Oh my God! I need to eat this, now. Why is it called "Spanakopita"?